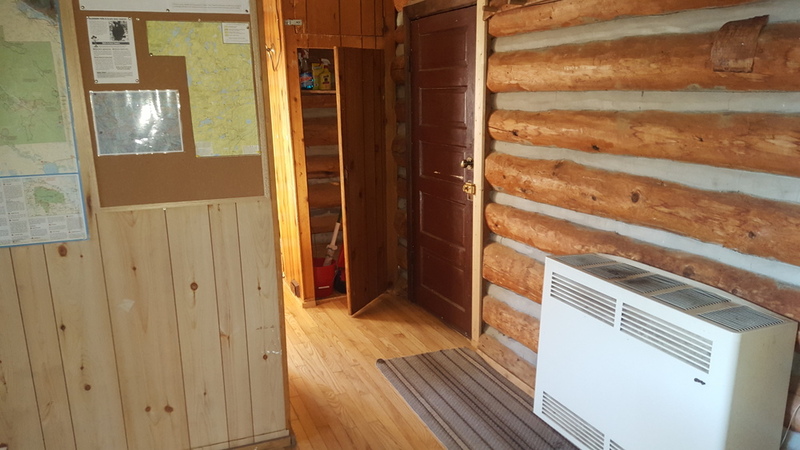 The Ranger Cabin on Rain Lake is a great getaway for those who are looking for a rustic, yet comfortable stay in Algonquin Park. 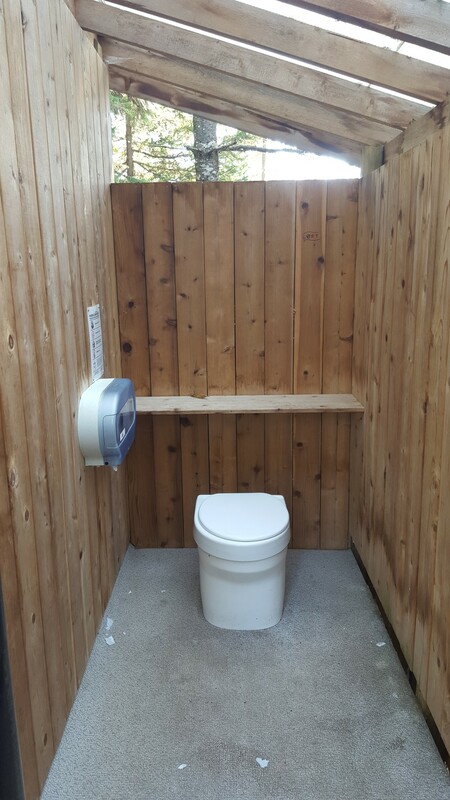 The cabin does not have running water or a bathroom, but instead there is access to lake water and an outhouse. 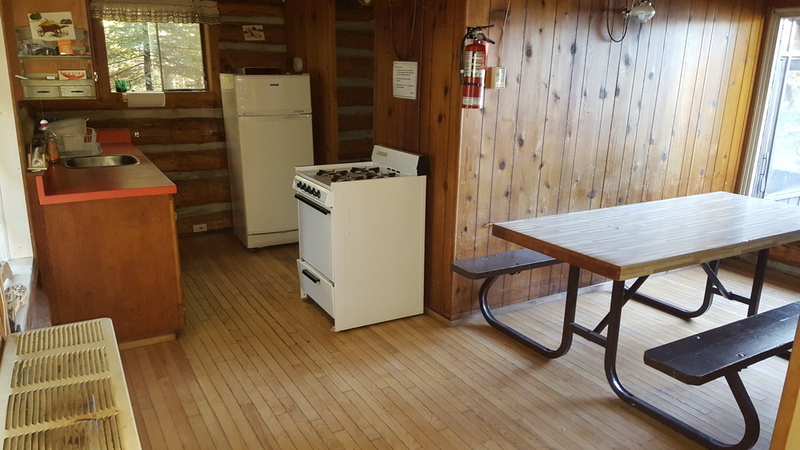 While you may miss out on these amenities, you do have access to a heated cabin, stove, oven, fridge, and lights that are all run by propane provided for you when you arrive. 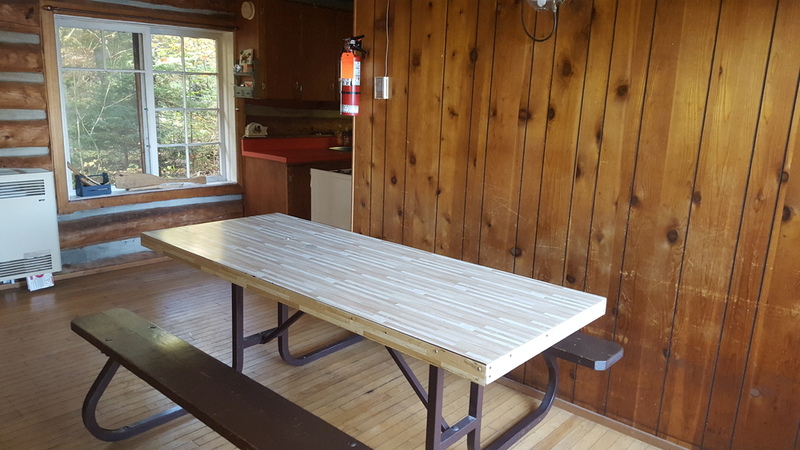 The cabin itself has a main common room that has a picnic table that looks right out the front window of the cabin. On either side of this main room are the two bedrooms - one room with 2 single beds side by side, the second room with bunk beds. 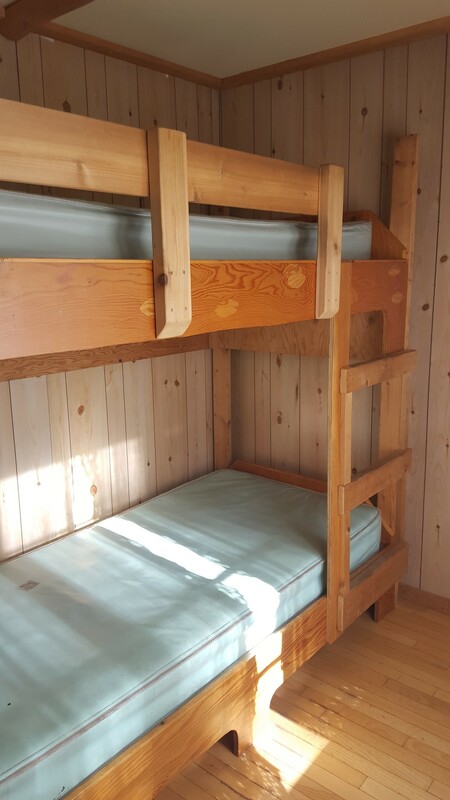 This cabin will sleep 4 people comfortably on beds and is also the maximum number of people you are allowed to book to stay for the weekend. The Rain Lake access point is also the start to the Western Uplands Backcountry trail which is great for day hikes. If you bring your own canoe or rent one from the park, a short paddle up the river will bring you the portage into McCraney Lake, although I should note that this portage is not a short one at 1800m. Perfect way to keep yourself occupied for an afternoon! If you pack light the portage can easily be completed in 1 trip, and there is lots of paddling in McCraney Lake. It is good to know that the Western Uplands trail will also bring you to this portage into McCraney Lake. The Rain Lake Ranger Cabin is located about 40 minutes from the Access Point Office located in Kearney. A stop is required at this office on your way in to pick up your permit for your stay. After picking up your permit you continue driving to the Rain Lake Access point where you will find the cabin tucked away in the woods. This access point is used mainly for paddlers going into Algonquin's interior lakes, such as McCraney Lake. The cabin is tucked in behind the parking lot away from the main access point where the paddlers would put their canoes in. 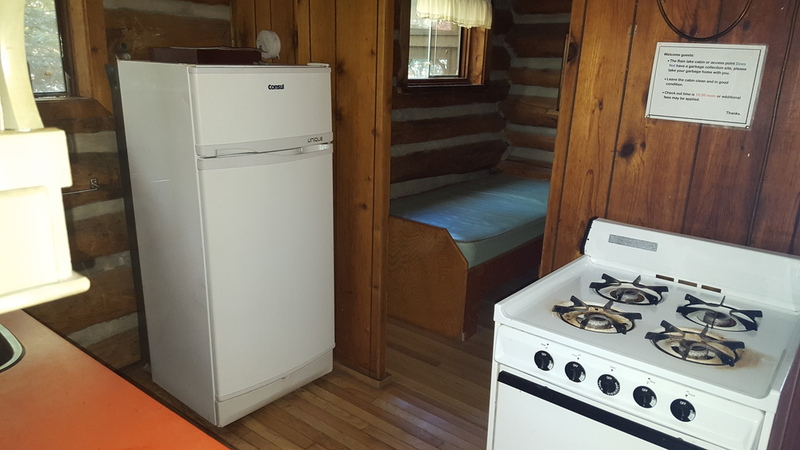 According to the Algonquin Park website, this cabin used to be located on Cache Lake where it was being leased, and also served as a backcountry permit office for some time until 1995. 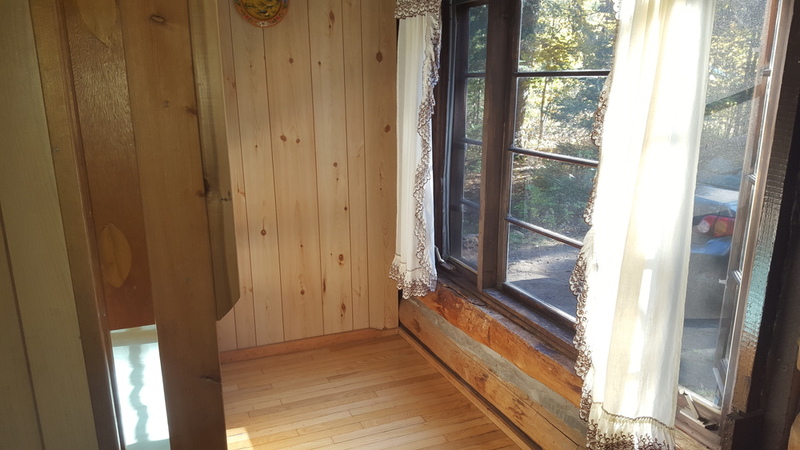 Below are pictures showing examples of the lights which are mantles, pilot lights on the stove, full size fridge, outhouse, and interior of the cabin. As you can see from the pictures, it is a very cozy atmosphere that I would highly recommend to other outdoor enthusiasts!